Hello everyone! As you know, I'm participating in an Outdoor Makeover Challenge with Kristi from making it in the mountains, and our BIG REVEAL is this Thursday! My husband and I have been working hard to finish up some of the smaller details, like the project I have to show you today! 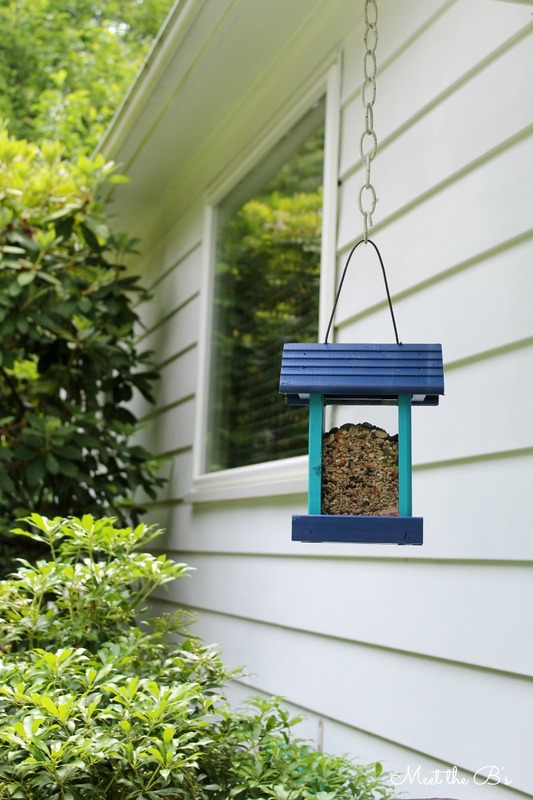 We have a pretty big window above our kitchen sink, and I've always thought it would be great to have a bird feeder right outside of it for a little entertainment while washing dishes. Well, we finally got one! 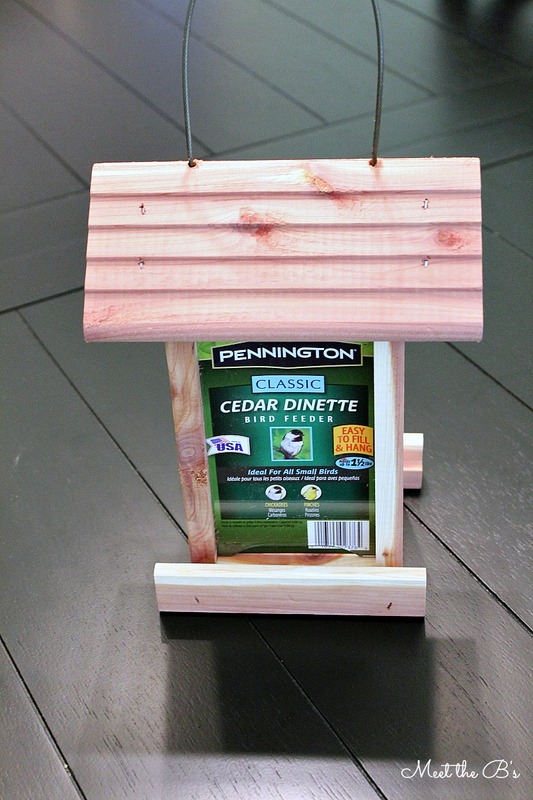 I found this simple cedar bird feeder at Wal-mart for five bucks! Perfect! 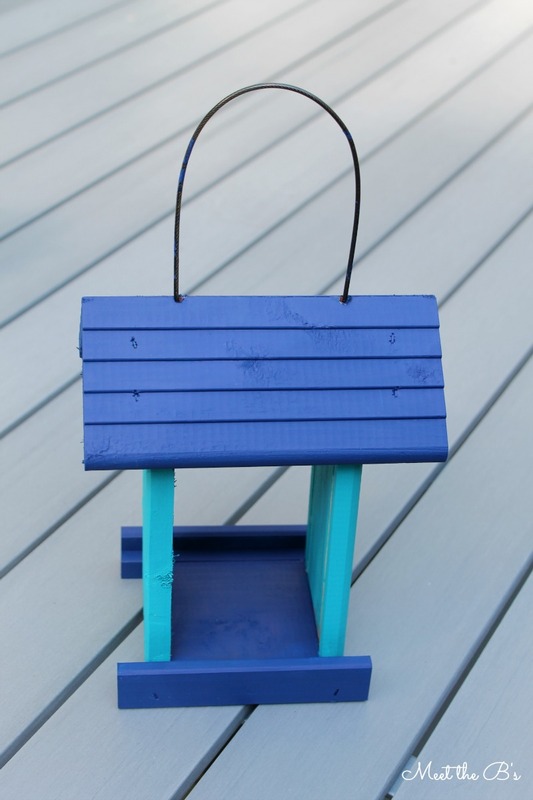 Then all I did was remove the clear plastic sides to give it a few coats of paint to match our outdoor decor. 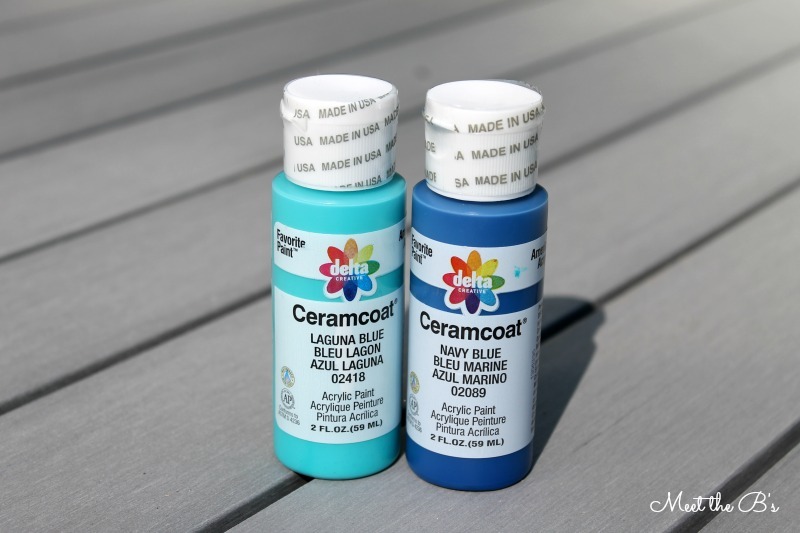 I used Ceramcoat Laguna Blue and Ceramcoat Navy Blue. 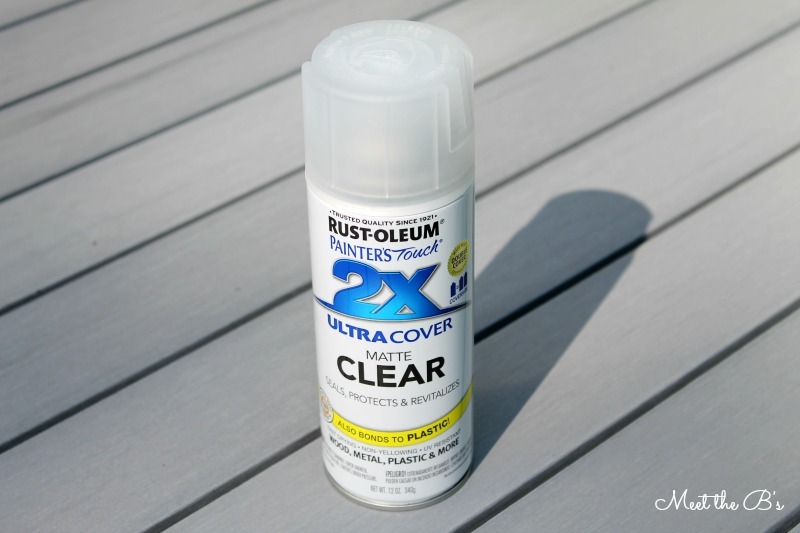 Then I sprayed it with Rust-Oleum's sealant to help weather proof the paint. Tah dah! This was the easiest project yet! 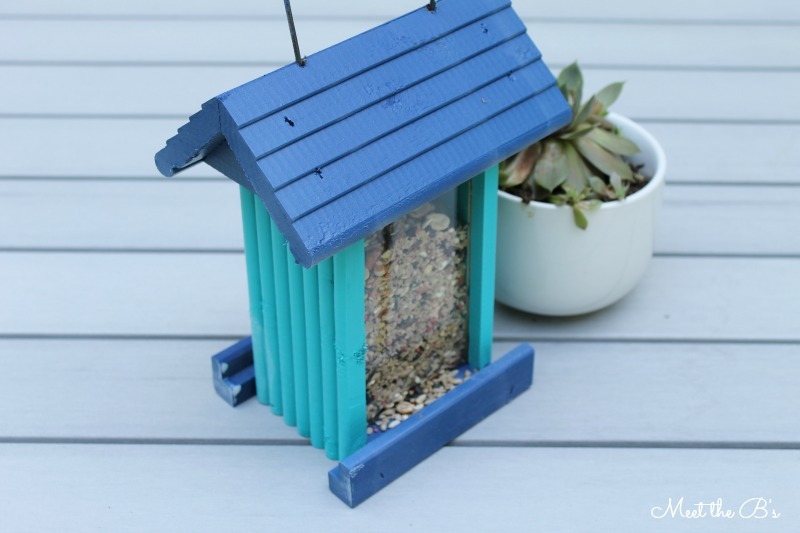 It gives a little pop of color to our patio, and I can't wait to watch little birdies enjoy a snack right outside my window! Thanks, Kristi :) Can't wait to see both of our reveals come together tomorrow! LOVE the colors you chose! So excited to see the whole reveal!! Just found your blog from the social mix up :) cute blog! Glad I found it :) Excited to be following along now via Bloglovin!